This pasta is a bit of a show stopper. It looks just great on the plate and there are loads of variations you could make to the filling. I’d often looked at the recipe in Jamie’s Italy and decided that it was a bit too much of a faff to do. 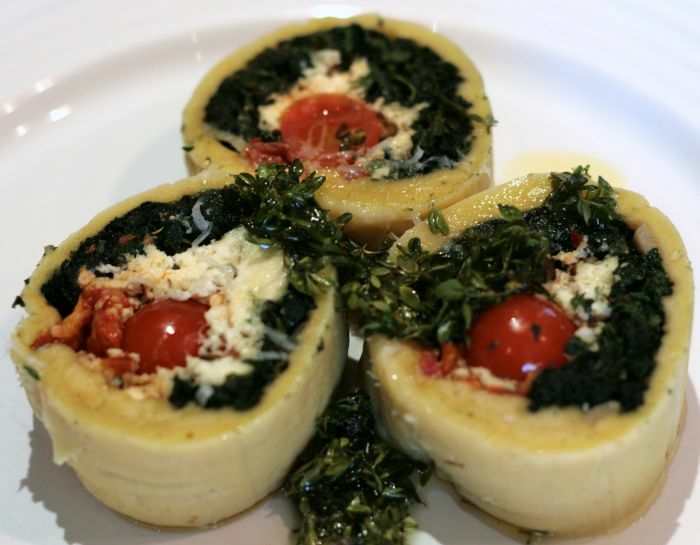 Then I saw the Rotolo that Maureen at Orgasmic Chef had created. I really liked the result she achieved and so determined to have a go myself. Of course, I wanted to do something a bit different to the recipe in the book with spinach and roasted squash. I thought hard about colours and took the Italian Flag’s tricolor of green, white and red as my inspiration. For the green I used our abundant (and free) nettles instead of the pasta. For the white I used ricotta that I made. And for the red I used tasty cherry tomatoes. The nettle filling gives a unique ‘meaty-veggy’ taste with a great slight spicy edge. The tomatoes give a nice squish and flavour with slight acid balanced by the creamy cheese. The lemon-thyme butter was a lovely fresh tasting complement to the pasta. We’re really lucky here because the wild garlic a friend gave us has taken and produces masses of wonderful tasting leaves & flowers. It’s also called ‘Ramsons’ and its latin name is Allium Ursinum. 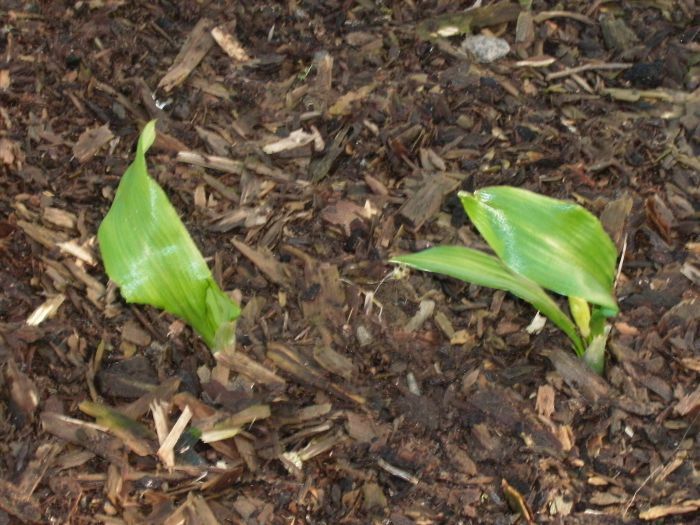 As you latin scholars will know, ursinum refers to bears who like the bulbs. Wild garlic and ricotta give a twist to simple pasta. 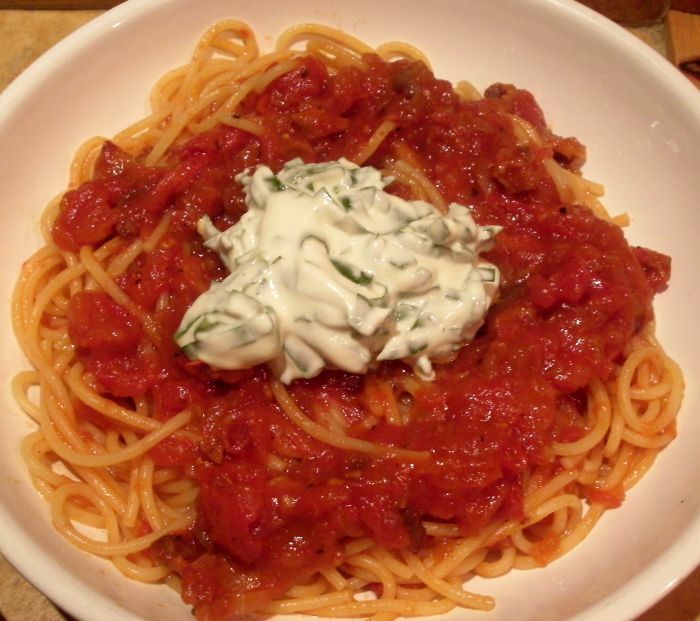 Here I’ve cooked pasta and a simple tomato sauce and garnished it with home-made ricotta flavoured with wild garlic. This is a very simple recipe which will look and taste great without hours of effort. You’ll need to make the ricotta a few hours ahead of eating it. The rest of the recipe is very quick to assemble.